Climate change (also referred to as climate disruption) is a considerable threat to the biota of Pima County and beyond and therefore warrants special attention in any large‐scale planning process such as Pima County’s Sonoran Desert Conservation Plan and Multiple‐species Conservation Plan. During the 20th Century, the earth’s surface warmed by approximately 1.0°F, a trend that appeared to be even more severe in the Southwestern United States. Climate models for the 21st Century show ever‐increasing temperatures and prolonged drought in the Sonoran Desert. Precipitation is expected to become more variable and most models for the Sonoran Desert predict a slight increase in summer precipitation but significant decreases in winter precipitation. Species shifts in abundance, distribution, and phenology. The extinction risk from climate change is greatest for those species that are already at risk, such as many of the Priority Vulnerable Species that formed the foundation of the planning effort for the Sonoran Desert Conservation Plan. 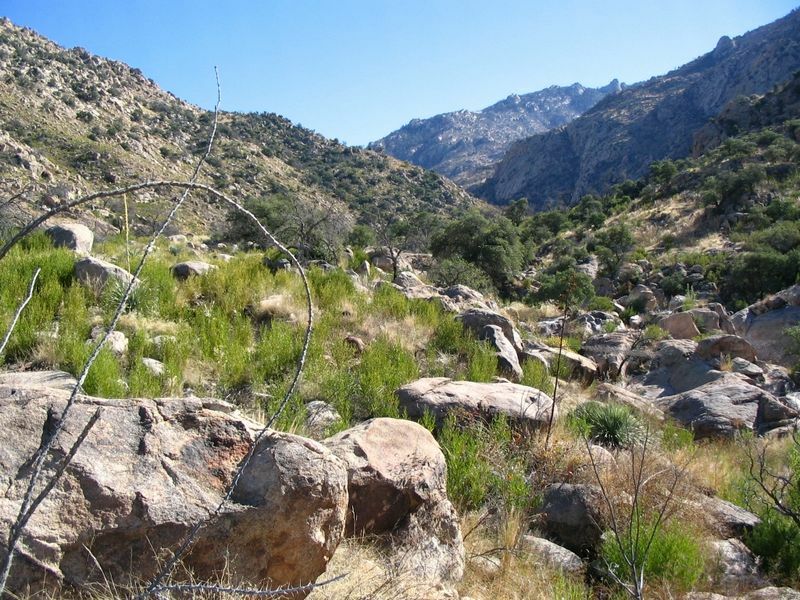 Climate‐driven effects on ecosystem structure and function (e.g., fire, nutrient cycling, succession, and invasion by exotic species), coupled with non‐climate related threats (e.g., off‐road vehicle use, mining, and pollution), will effect Priority Vulnerable Species and other species and their habitats in Pima County. As a first approximation of effects on specific species, I provide a qualitative evaluation of 49 species that are proposed for coverage in the forthcoming Habitat Conservation Plan for Pima County. Not surprisingly, the most significant climate‐related impacts are likely to be to aquatic and riparian species. Given the anticipated effects of climate change on natural resources in Pima County, it will be critical for climate assessments to be included in any natural resource planning effort by the County such as restoration projects and the ranch management programs. To facilitate these assessments, Pima County must continue to be engaged with the scientific and land management community to promote regional adaptation strategies into the Sonoran Desert Conservation Plan. Monitoring and adaptive management programs and processes, led by both the County and our partners, will also be important. Finally, minimizing the use of fossil fuels (the most significant contributor to climate change) through the facilitation of a compact urban form, and promoting investments in energy efficiency in housing and urban infrastructure will lessen Pima County’s contribution to a warming planet.